The Yampa is mostly a Class III whitewater trip which usually takes 4 or 5 days. 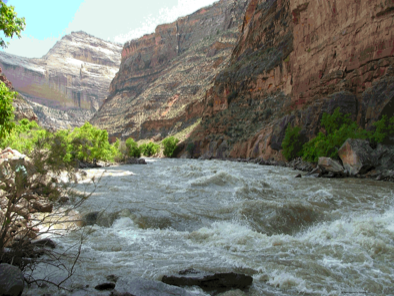 It is a free-flowing river that winds through the Dinosaur National Monument. Stunning canyon scenery includes thousand foot high rock walls which range in color from grey to orange to red. The Yampa offers a fabulous opportunity to learn and experience geology as rafters float through a billion years of Earth's history. Human history is also evident, with Fremont Indian ruins and petroglyphs as well as remnants of old west homesteads offering an opportunity to experience a more recent past. The Yampa is runnable from May to July. 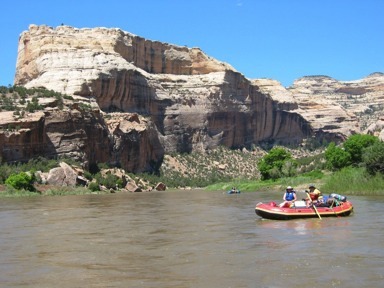 Permits are required for all rafting within Dinosaur National Monument. Online application here.